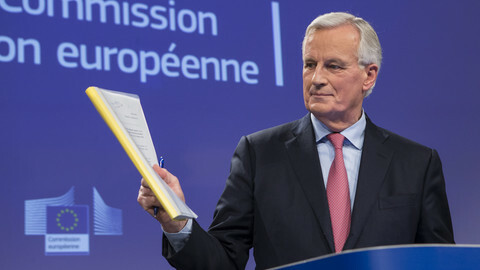 The EU has agreed to an extension of the Brexit deadline until 31 October, with a review in June, after French president Emmanuel Macron resisted calls for a longer delay. 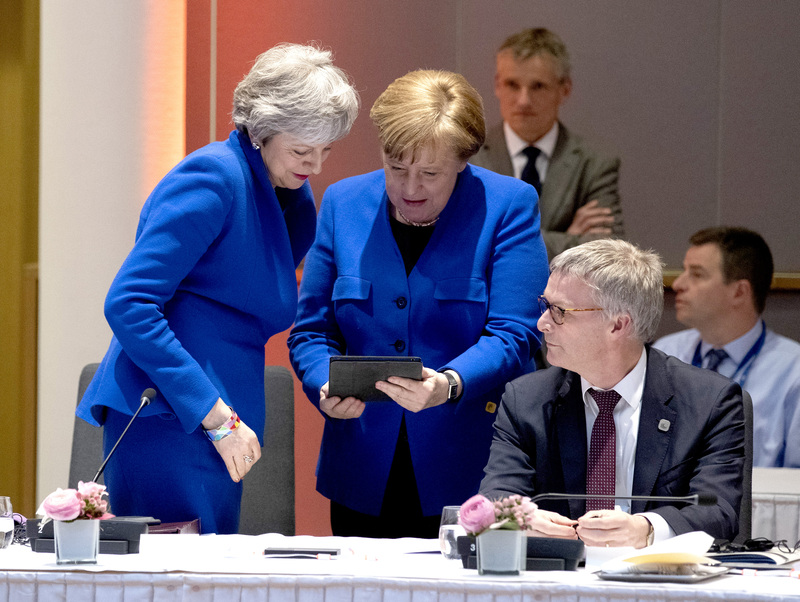 The compromise came on early Thursday (11 April) after six hours of talks at an emergency summit in Brussels, where British prime minister Theresa May had asked to extend the deadline until 30 June. The new date means the UK will not crash out of the EU this Friday, which had been the previous exit date. 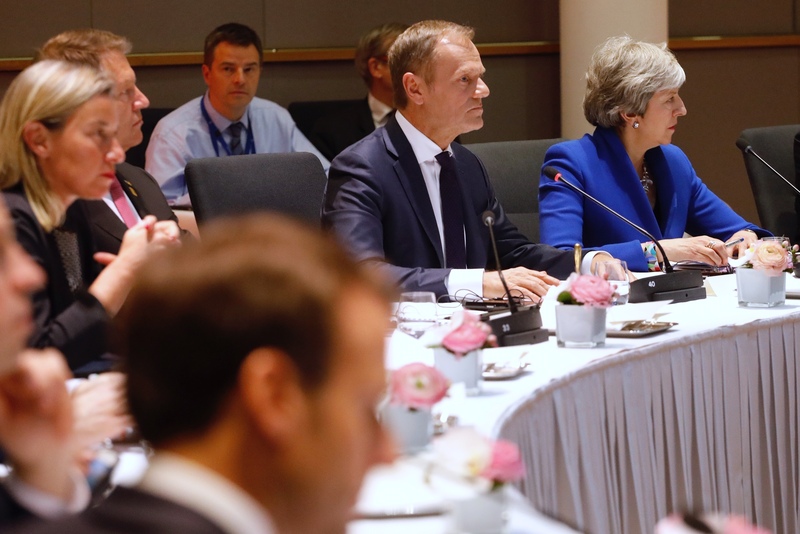 "During this time, the course of action will be entirely in the UK's hands," EU council chairman Donald Tusk told journalists after Monday's meeting. "It is enough to find a possible solution. Please do not waste this time," he added, addressing British politicians. "This assessment in June is only to update us on ratification and legal processes in the UK, it is not for decisions on [further] extensions. My intention is not to discuss, but only inform member states about the current situation," he also explained. Most member states had favoured an even longer extension until the end of the year or early next year in order to put pressure on the UK parliament to adopt the withdrawal agreement, with the condition of Britain holding European elections in May. The French president was "isolated", according to EU sources, but received sympathy from the leaders of Austria, Belgium, and Luxembourg. The EU-27 finally agreed on 31 October - one day before the new EU commission is supposed to come into office on 1 November. The UK, however, could leave earlier if May's cross-party talks are successful in building a majority in the House of Commons backing the divorce deal. 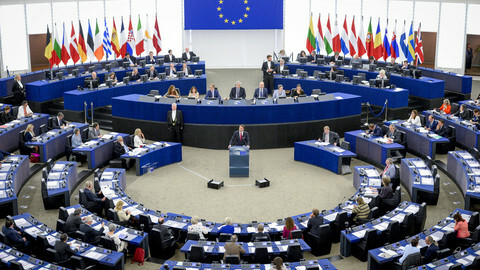 The EU-27 also agreed to check on the situation in June to see if the UK was in compliance with EU conditions, such as holding European elections. 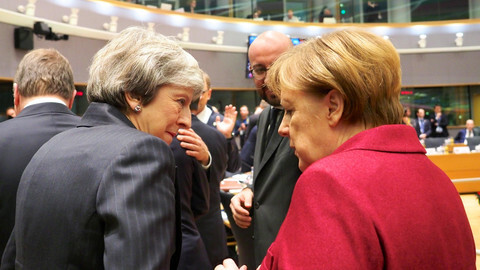 May said that she still hoped parliament would ratify the deal sooner, enabling Britain to leave by 22 May, and to avoid the EU elections on 23 May. "I continue to believe that we need to leave the EU with a deal as soon as possible," she said. If the UK does not hold EU elections, it will have to leave on 1 June without a deal. After EU leaders had heard from May on the political situation in Britain, and the UK premier left the room, around 25 EU leaders spoke up, with Macron being second to last to speak. His tough position against a long extension, which sounded like "almost a veto" to some leaders, changed the atmosphere in the room. Some 17 member states supported a long extension, three or four had no preference, and three or four others preferred a short extension, but were able to live with a long one, before they hammered out the October compromise. "It was an amicable debate," Dutch prime minister Mark Rutte told reporters after the summit. EU diplomats had grown annoyed with Macron, according to one source, because they felt his insistence on a shorter extension was motivated by "internal political reasons". 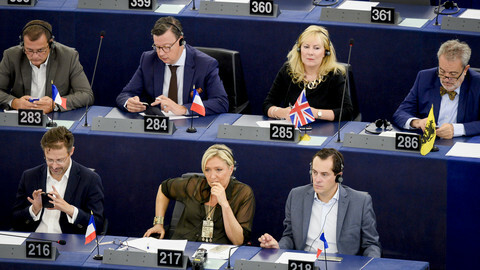 The French president needed to show at home that he was tough on Britain and that he was serious about his post-Brexit agenda for deeper EU integration. "This summit is not about the UK, but about French internal politics," one EU diplomat complained. 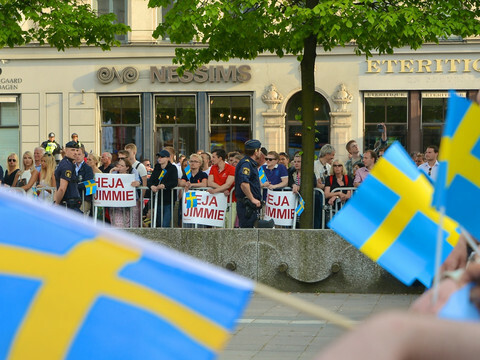 "Unity doesn't mean we are all on the same identical position, but it means we are always able to find a compromise," Tusk said after the meeting. He also quipped that it was easier to build a majority in the EU than in the House of Commons, where May has lost several key Brexit votes. Macron was keen on Brexit not to "hijack" the EU elections, and for the UK not to obstruct EU decision-making in the months ahead. 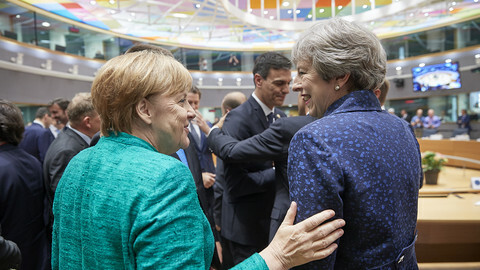 The conclusions of Monday's summit demanded "sincere cooperation" from Britain, meaning it will not spoil EU decisions in the pre-Brexit period. 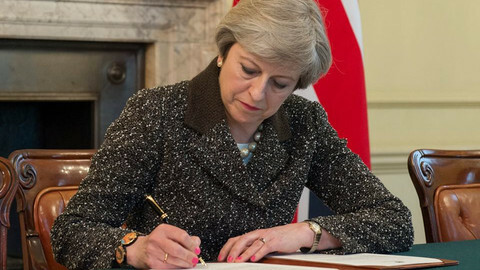 "The United Kingdom shall facilitate the achievement of the Union's tasks and refrain from any measure which could jeopardise the attainment of the Union's objectives, in particular when participating in the decision-making processes of the Union," the document said. EU officials pointed out that the top EU jobs were decided by qualified majority, and that in the next months only the roll-over of Russian sanctions required a unanimous decision by EU countries, with the UK expected to support the move. "The possibilities for Britain to block decisions are very, very limited," EU commission president Jean-Claude Juncker said on Monday. "We delivered the best possible compromise," Macron said. The leaders also agreed that the remaining 27 member states can meet among themselves, without the UK, to discuss future matters. "A Brexit extension until 31 October is sensible since it gives time to UK to finally choose its way," Maltese prime minister Joseph Muscat tweeted after the meeting ended.